He is gorgeously brown. He is beautifully smooth. He is wickedly, winkingly shiny. He smells amazingly good. And he is oh-so-sweeeeeeet! He’s a friendly fella, this one. ‘Cos he can jive with almost anyone, and proves to be one helluva partner. He has the uncanny ability of bringing out the best in each and every one. He adds happiness to your heart, making it beat strong and sturdy. He puts a natural blush to your skin, making you glow. He’s a constant companion, right by your side, fighting your terrible ‘flu and picking you up when you are under the weather. And… if your mirror tells you you’re looking fat, he gently guides you towards losing those extra few pounds. He cares, he really and truly does. Man of your dreams, huh? Who would NOT love someone like that? But the irony is that we all have him, but don’t really know his real value. And it’s only now that I am realising, slowly and surely, exactly how important he is. Had enough of the suspense? Ok, so here goes…. It’s HONEY! My first memory of honey is quite the story. What started as a small hive in the corner of our house in the beginning of spring, grew into an enormous, globe-like, angry-looking hive by the time summer set in. It was summer holidays, we kids along with visiting cousins were running around the house all the time, plucking the bright pink flowers from the spectacularly blossoming Bougainvillea right next to the hive. The parents were debating whether to take down the hive, when one angry little bugger came and stung me real hard… I was of course howling in pain, and that made up the parents minds. But they were so not ready for what followed… All the cousins, 3 girls and a boy all under 10 years of age, started bawling their eyes out, saying they did not want the poor, hard-working bees to be harmed in any way! I too joined the cacophony… the irony was that at one point I didn’t know whether I was wailing in pain from the sting, or in protest for what was to follow. But the parents had their way, and they cleverly bribed us with the delicious, natural honey extracted from the hive, rolled up in hot parathas. That shut us up nicely! 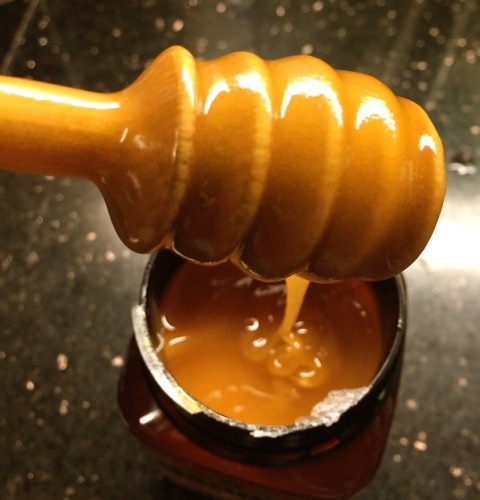 Of late, I can’t seem to have enough of honey. Like everyone else in the country, my first option was always the fat, trusted jar of golden Dabur Honey. It’s not bad, mind you, no honey is. But, to break the monotony of years of use, I tried out the tastes of other brands like Smuckers, Heinz, Capilano, Langnese, Clarks and so on. 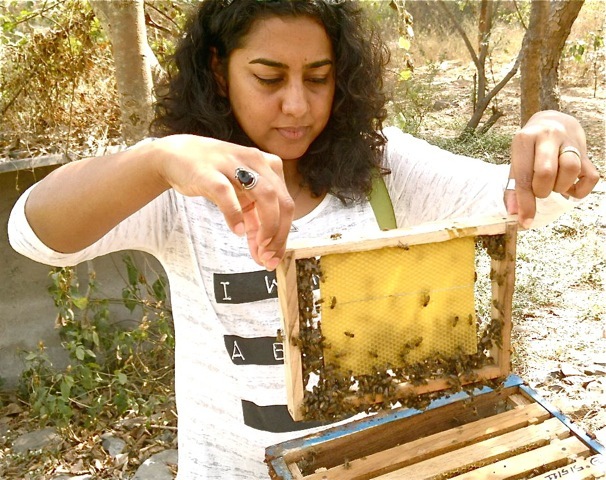 And then I learnt that most commercial store-bought honey is not even real honey! 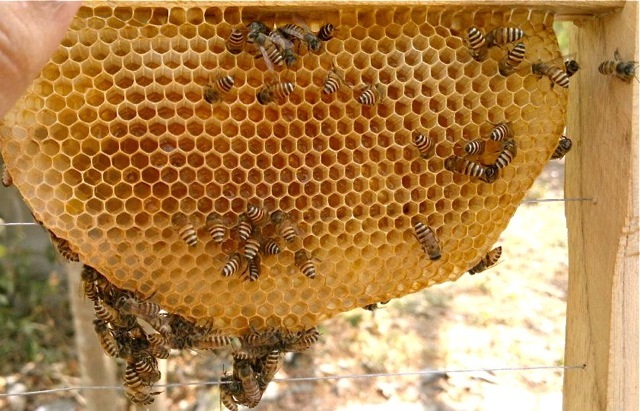 That sent me off into a tizzy – much like the bees themselves! – to find a good natural honey, and the right one for myself. After many delicious tastings, I have now settled on THREE top favourites, and as far as I am concerned, the best that money can buy. The first is the range of pure, single-origin honeys by ‘Under the Mango Tree’, a honey co-operative that sources directly from rural beekepers – you can smell the tall woods of the Himalayas when you open a jar of this, I kid you not! 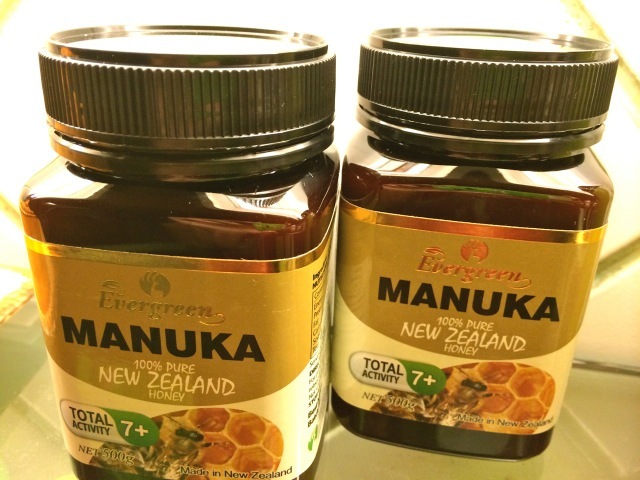 Then there is the world-famous Manuka honey from New Zealand, known for it’s dense, dark texture, and intense, earthy flavours. And the last one is Nectar Fresh – a humble, honest endeavour based off Bangalore, who have big small and tiny jars of interesting flavoured honey like ajwain, lychee and mustard. Heard the song Waltzing Matilda? 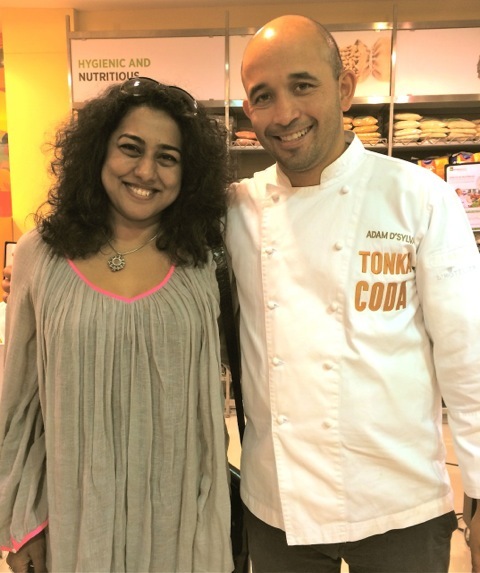 And ‘Yummo’ is what Chef Adam D’Sylva (celebrated chef of the hot restaurants Tonka and Coda in Melbourne) gave us, as he kick-started the Mumbai leg with a fun cooking demo at Godrej Nature’s Basket, Bandra. With Australia’s AO MP and Minister for Trade and Investment Andrew Robb doing a pretty neat job at slicing Zucchini, and Parliamentary Secretary Richard Colbeck tossing Spaghetti like a pro, Chef Adam cooked up a delicious pasta, a winter salad and a pile of Chimichurri Lamb Chops, while bringing the house down with his anecdotes and quips. 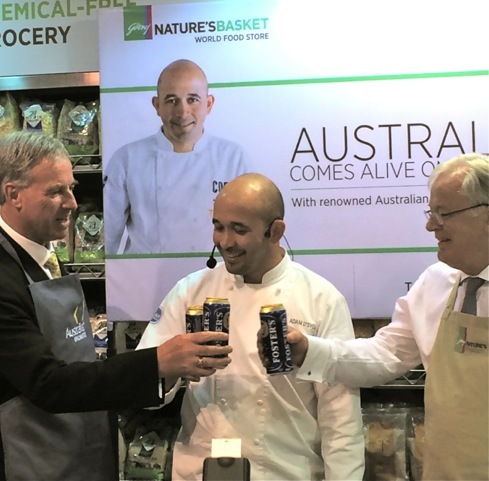 He even let us into a little chef’s secret – the best way to cook lamb chops is with a can of beer in your hand, he declared, and promptly popped open cans of chilled Foster’s beers for the apron-clad trio! No wonder they had the jostling, laughing crowd literally eating out of their hands! The Sofitel lawns, under a mildly chilly and starry Mumbai night, transformed into an exclusive hub of intense conversations, hearty exchanges and warm handshakes amidst some beautiful music by a pretty Australian trio. 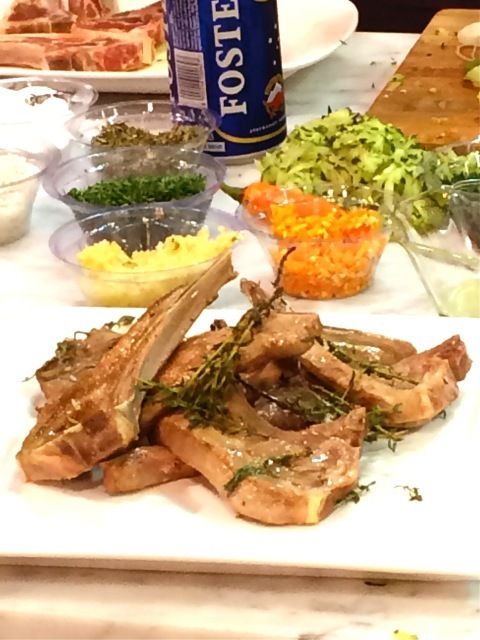 And Sofitel Executive Chef Indrajeet Saha personally ensured that our plates were always piled high from the lavish spread of salads, cheeses, charcuterie, pasta, desserts and the irresistible Aussie lamb chops, straight from the BBQ.